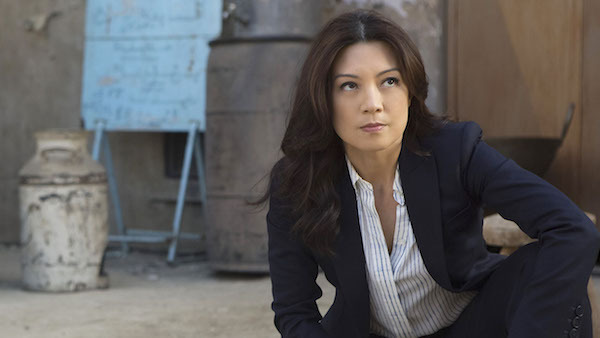 Agents Of S.H.I.E.L.D: Could A Major Player Leave? The main Agents of S.H.I.E.L.D. characters have been through a lot over the last two years, from taking on John Garrett and the forces of HYDRA to discovering the Inhumans and foiling a plot hatched by their leader to eliminate all humans on the planet. That would be enough excitement for a lifetime, but the spy team is already looking ahead to dealing with new threats and working with new allies in Season 3. Well, maybe not everyone. In resident badass Melinda May’s case, she might decide to hang up the gun and jumpsuit and leave the team. In any situation when someone is so devoted to their work as May was, but then realizing over the last two years that S.H.I.E.L.D. isn't really what she dedicated her life to. That there was definitely a lot of corruption to S.H.I.E.L.D., as well as uncertainty now with the Inhumans being brought in by Coulson. It's going to be figuring out her final decision in Season 3 and I think Andrew will probably play a part in it. Looking too closely into that statement, one might assume the worst and wonder if Wen is actually leaving the series. While we can’t 100% guarantee that won’t happen, it’s extremely unlikely. Like every other fictional program broadcasting, Agents of S.H.I.E.L.D. revolves around character development, and this could just be the next step in May’s journey. The daughter of a former intelligence agent, she’d dedicated a large portion of her life to S.H.I.E.L.D., but starting with having to shoot that Inhuman child, the last eight years haven’t been easy for her. Since then, she’s buried herself in her work and cut herself off from almost everyone emotionally, and after seeing how much of S.H.I.E.L.D. was corrupted and the new direction it’s going, now may be the time she wants to say goodbye to this life. However, even if May does decide to leave S.H.I.E.L.D., that doesn’t mean that she still won’t be involved with Coulson, Skye and the rest of her allies. Remember, even after being exposed as a traitor and kicked off the team, Grant Ward remained a key player in the show. There’s no reason that May couldn’t take a similar path (albeit as a hero rather than a villain) and go off on her own while still maintaining connections with the plot and the other characters. While May is perhaps looking to get out of the spy world, her ex-husband Andrew Garner (played by Blair Underwood) is actually delving deeper into it. While Andrew had his issues with S.H.I.E.L.D. during Season 2, Wen says that he will be helping the organization with their recruitment of Inhumans. Although May and Andrew aren’t together anymore, there's no doubt his increased involvement will play a role in her decision on whether to stay or leave. We’ll find out what the future holds for May when Agents of S.H.I.E.L.D. Season 3 premieres on Tuesday, September 29 on ABC.